Established in 1981 in Cranleigh, Surrey P&P Glass now has showrooms in Guildford and Wimbledon. P&P Glass is an established and respected business that directly employs over sixty local people. The company has built up an enviable reputation based on quality products, customer service and value for money. 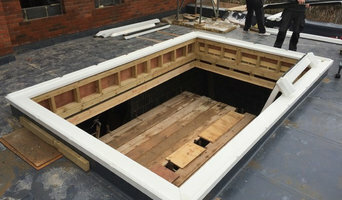 Our satisfied customers include; not only thousands of local households, but numerous builders, architects, housing associations, local authorities, businesses and charities. Three Counties Ltd based in Camberley have been installing high quality UPVC, timber and aluminium double glazing throughout Surrey, Hampshire and Berkshire for 10 years. Whether you're looking to improve your home with replacement windows and doors, or perhaps a conservatory or modern glass extension, Three Counties have got a superb selection to transform your home. Established in 1994, The Sash Window Workshop specialise in the manufacturing, installation and repair of traditional timber windows and doors in London and the south of England. They offer a supply only service nationwide. We’re a family run window, door, glazing & conservatory business You’ll find we’re very different from your typical double glazing company. No hard sell tactics, ever. Straight forward pricing and a choice of high quality products that won’t overwhelm you. Making your home more valuable, beautiful and energy efficient is the purpose of our work. 95% of our business comes through referrals, plus we have a 9.96 approval rating on Checkatrade.com. We’re really friendly and there’s never an obligation to accept a quotation. So, for exceptional service in Hampshire, Berkshire and Surrey, call us today. AM Glass & Mirror began trading in in 2012 and since then, we have built up a good reputation for being honest and professional working, keeping our time lines and delivering competitive prices. We provide a full range of bespoke made glass and glazing products to both the traders and domestic customers. Glass projects is not just a job for us, but also a hobby. So after been working for a long fifteen years in this industry and have gained experience and perfection, we have decided to establish our own company "AM Glass & Mirror." With our creations, tips and ideas we bring perfection, warmth and comfort to your home as well as a new contemporary look. Abbey Windows supply and fit a beautiful range of double glazing products, including uPVC windows, uPVC doors and conservatories. With many years of experience installing double glazing in Reading, their customer service is second to none, and every installation is tailored to your exact specifications. 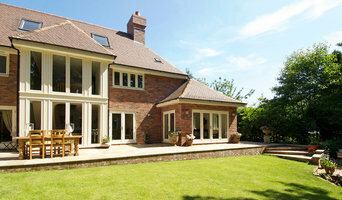 Thames Valley Windows is a double glazing and design specialist and has been improving homes for more than 30 years. Our clients are located in Berkshire, Buckinghamshire, Hampshire, Oxfordshire, Surrey, West Sussex and London, to name a few. The focus on glazing has changed dramatically in the last 5 years. 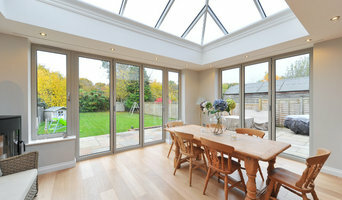 Homeowners have come to realise the impact of glass and light, making windows and doors the main feature of their home. There are so many options available it can be difficult to know which design, material or colour of window or door will be the correct choice. Don’t rush and don’t compromise. Let Thames Valley Windows take the stress out of choosing and buying double glazing windows, doors, conservatory or glazed structure. Whether it’s uPVC, timber alternative or aluminium, contemporary or traditional, we will have an experienced specialist to discuss your requirements. We have achieved ISO 9001 certification and we are one of only 33 companies in the UK to hold the BSi kitemark for window and door installation. PanEuro Windows is committed to becoming the supplier of choice when it comes to windows and doors for development projects and restorations, whether it is to the trade or directly to property owners. We can supply: PanEuro puttyline and conservation timber sash, casement and tilt and turn window and door range. Including triple glazed options to all systems. What can specialist window companies, glaziers or window fitters in Itchen Abbas, Hampshire do for me? Specialist Itchen Abbas, Hampshire window companies and fitters can diagnose problems and prescribe a choice of remedies, while keeping in mind factors such as the style of your property, ease of operation, budget, noise reduction, thermal efficiency (the lower the U-value, the better), durability and maintenance. It is a balancing act that only a glaziers can deftly strike. Most Itchen Abbas, Hampshire window companies will be able to take care of both supplying and fitting your new or replacement windows, but if you have already purchased your windows from a window manufacturers then you can find an Itchen Abbas, Hampshire fitter to just take care of the installation. Where can I find the best choice of Itchen Abbas, Hampshire window manufacturers and window installers? Right here on Houzz. Look for Itchen Abbas, Hampshire Windows & Double Glazing professionals in the Find a Pro category and then save images of window styles you love in an Ideabook. Take time to look through each window company’s profile and get a sense of where their strengths and specialisms lie. Make sure your window manufacturers’ work comes with accreditation: whether from FENSA (Fenestration Self-Assessment Scheme), FMB (Federation of Master Builders) or TrustMark. Find window companies and glaziers on Houzz. 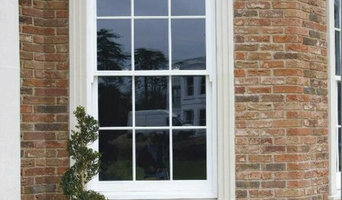 Narrow your search in the Professionals section of the website to Itchen Abbas, Hampshire window companies. 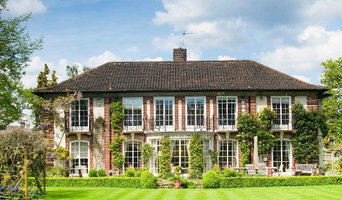 You can also look through Itchen Abbas, Hampshire photos by style to find new and replacement windows you like, then contact the glaziers, window manufacturers or companies who installed them.